SARKE releases their fifth full-lenght „Viige Urh“ upcoming Friday, October 13! 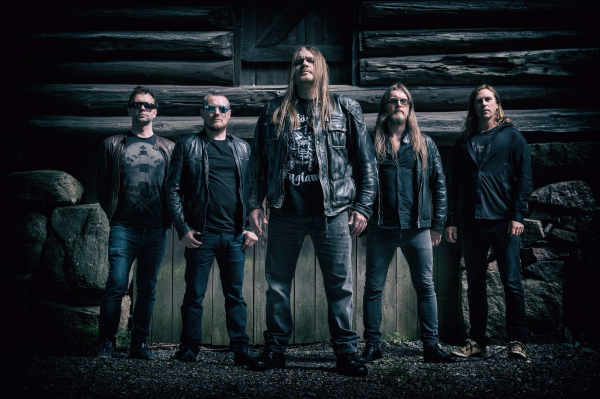 Well known members of this band include Nocturno Culto (Darkthrone), Sarke (Khold, Tulus), Ander Hunstad (El Caco) and Steinar Gundersen (Satyricon). „Viige Urh“ is an album true to the bands aesthetics and style, with Nocturno Culto’s icy and grim vocals in the top layer they continue the slow and tight mid-tempo black metal. ‚Viige Urh’ presents eight tracks that stretches from melodic and atmospheric parts colored with sometimes an irregular rhythm, to ice cold and clean riffs that enchances the vocals and the bands storytelling. SARKE are out with their new single AGE OF SAIL!